Black Friday is here! Following all the hype, customers are finally bagging bargains and shopping online. It’s not just the one day anymore but many businesses extend the sales fest to over the weekend into Cyber Monday, and beyond. However, while it’s fun to discover discounts, it’s easier to get distracted and forget about the rules of internet safety when shopping. Will Black Friday be good for business? Businesses from high giants, to internet stores and small businesses have been busy putting forward their best deals in the hope of enticing more customers. Many have in fact been discounting for some time in advance. In the current economic climate, which has seen retailers fall by the wayside, many companies hope that Black Friday and Cyber Monday will give them a much-needed boost and provide some economic insulation. Customers too may have been buoyed by economic news of record UK employment and recent increases (albeit small) in wages. The Black Friday annual shopping event has swept up the UK in recent years – it was originally an American import, an annual event which took place the day after Thanksgiving. Now Brits have whole-heartedly embraced discounted shopping fever too. Reports already include tales of UK consumers flocking online to spend a predicted £10 billion overall, with £1.5 billion set to be spent in one day alone. However there are fewer signs of fights erupting in sales queues which were a common feature of the early days of Black Friday. This may reflect the fact that online shopping has become a greater feature in our lives now, from everyday groceries, to clothes to electrical goods. The British press are already reporting on deserted high streets and retail centres as armchair shopping continues its march. Now we may find the occasional website crashing due to exceptional numbers of customers trying to access deals at the same time. 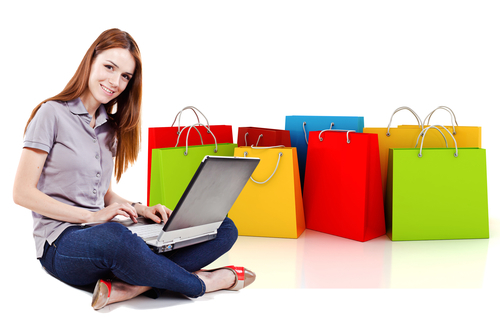 However, shopping online can also attracts other, more worrying, dangers if care is not taken. The popularity of online shopping events makes it more important than ever to remember to shop safely online. Unfortunately Black Friday is just as popular with cyber criminals – they view it as an enormous opportunity to take advantage of unsuspecting people and businesses. 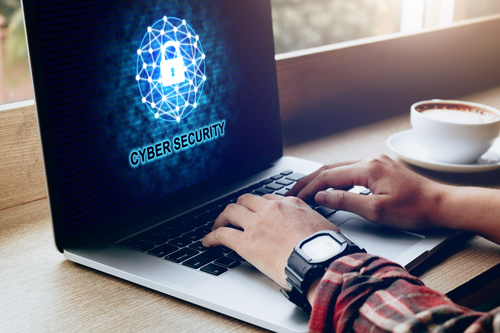 For small businesses, it’s especially important to ensure that they don’t fall prey to fraud, data thefts and ransomware – research has shown that consumers avoid businesses which have had data breaches. Cybercrime can cause real reputational, as well as financial, damage. Taking chances with cyber security can be a false economy for SMEs. It’s best to ensure you are up to date with protecting your hardware, software and data. You can read our article here on taking action to avoid cybercrime and stay safe online. Black Friday is set to stay in the UK and become as traditional as our Boxing Day sales. Just as when you’re shopping in the high street - you wouldn’t have your purse or wallet on show or hand your money over to anyone - the same applies to online shopping. Be sure who you are dealing with and make your payment in a secure way. At 360ict Ltd we advise our clients how to keep their computerised systems and data safe. Once you’ve worked hard to set up your business it’s important to protect your business against cybercrime. This is even more vital in light of the GDPR (General Data Protection Regulation) laws which came into effect earlier this year. These new European Union regulations require all businesses, small or large, to comply with data protection or else face potentially large fines and reputation damage. 360ict Ltd offers a wide range of ICT services to businesses – let us help you manage your IT, support your IT team and stay safe online. If you do require further advice or information please do contact us on 0208 663 4000 or Contact Us.